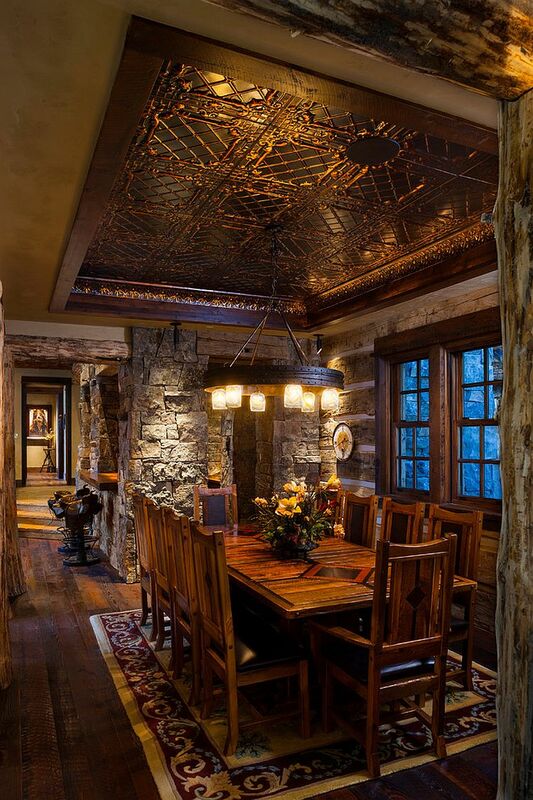 The last few seasons have seen homeowners veer towards design and decorating ideas that embrace more natural textures and create an organic vibe indoors. 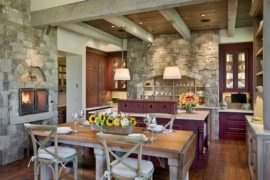 By all accounts, this is a trend that will continue to hold sway in 2016, and stone walls offer a unique timeless way to jump in on this bandwagon. 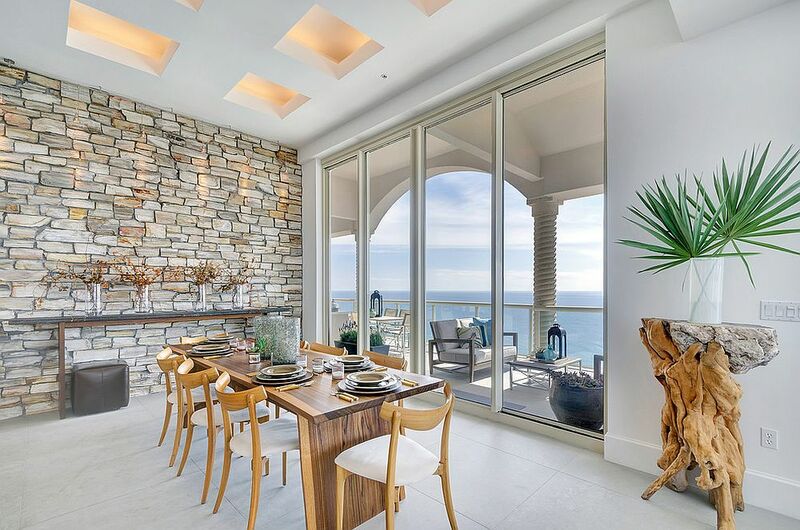 Of course, not all of us have a stone wall at our home waiting to be unearthed and showcased in the most elegant fashion. 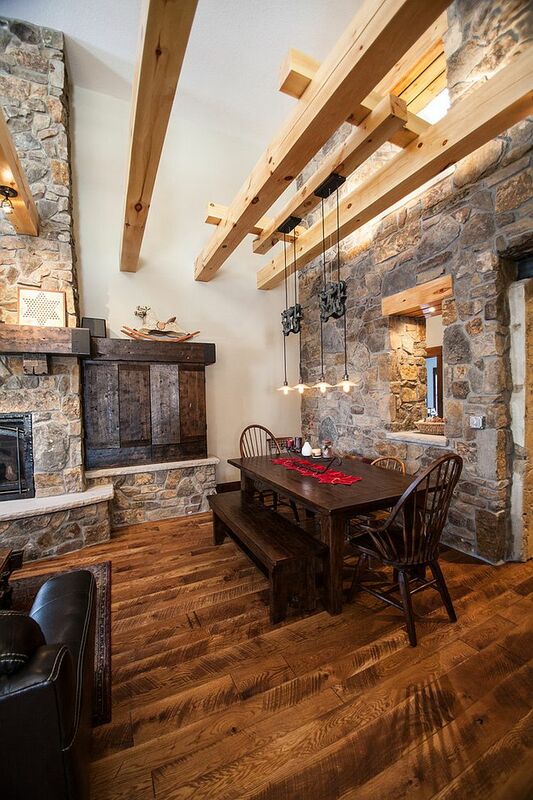 If a natural stone wall seems like too much change, then stone veneer is a less demanding alternative that is easy to incorporate into a contemporary space. 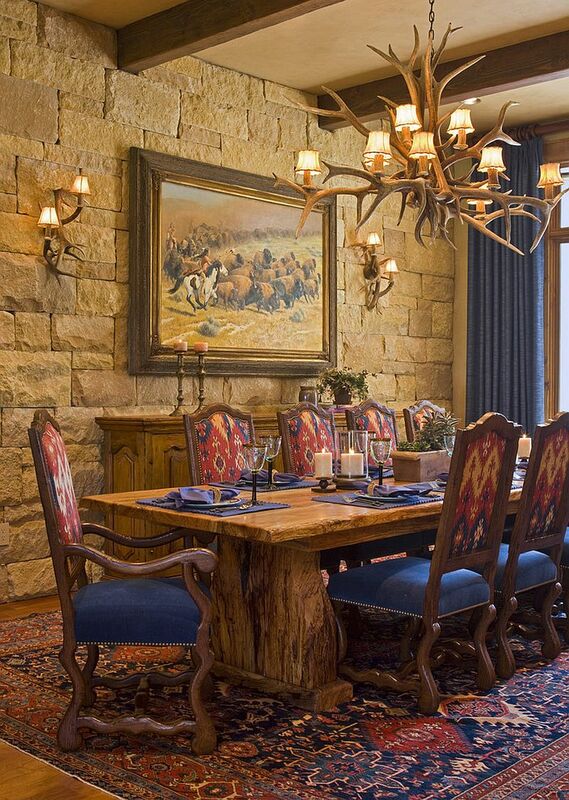 While we have already featured some amazing bedrooms and bathrooms with stone walls, today it is the turn of the exquisite dining room. 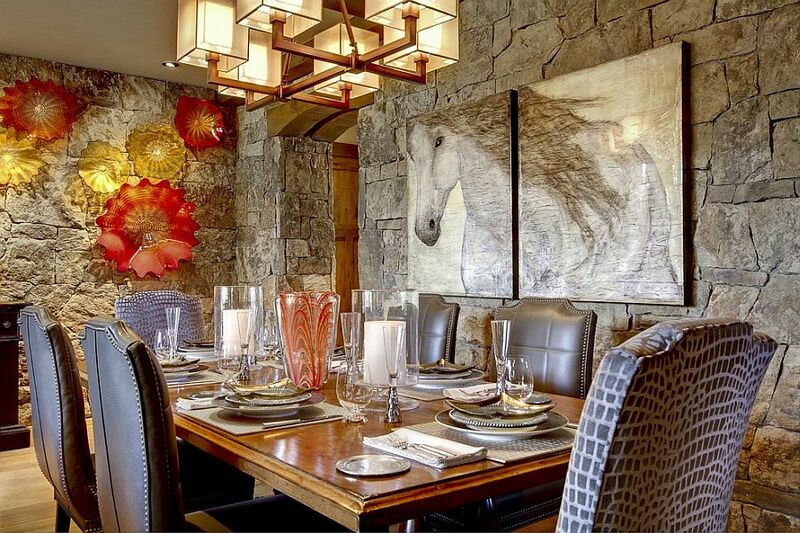 Whether you have a dedicated dining room or a small dining area, a stone wall backdrop will give it an air of exclusivity. 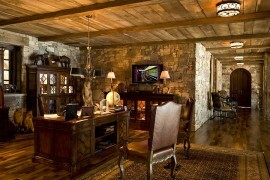 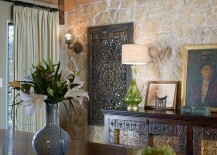 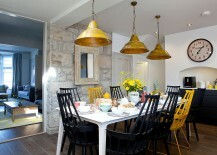 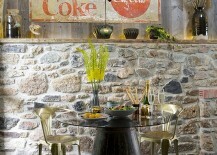 And as the 15 diverse inspirations below showcase, the stone wall works surprisingly well with almost any style and hue. 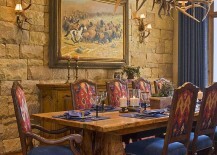 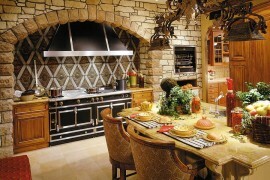 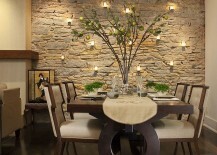 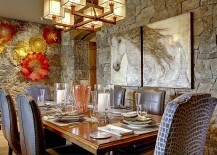 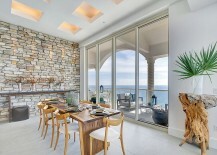 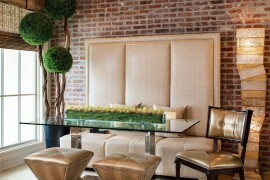 Contemporary dining rooms might seem like odd places to showcase the textural beauty of a natural stone wall. 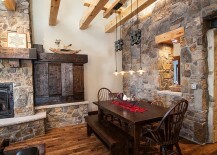 But the truth is exactly the opposite, as the polished surroundings turn the stone wall into a captivating focal point that brings contrast and a hint of rustic charm. 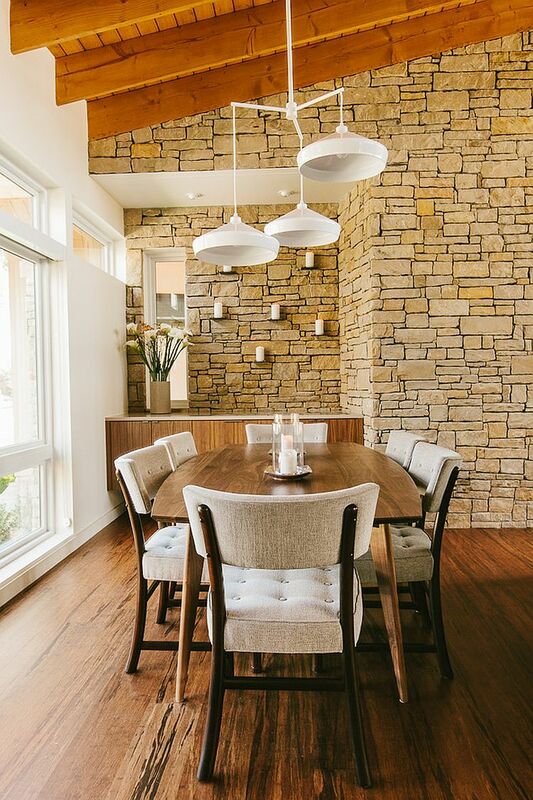 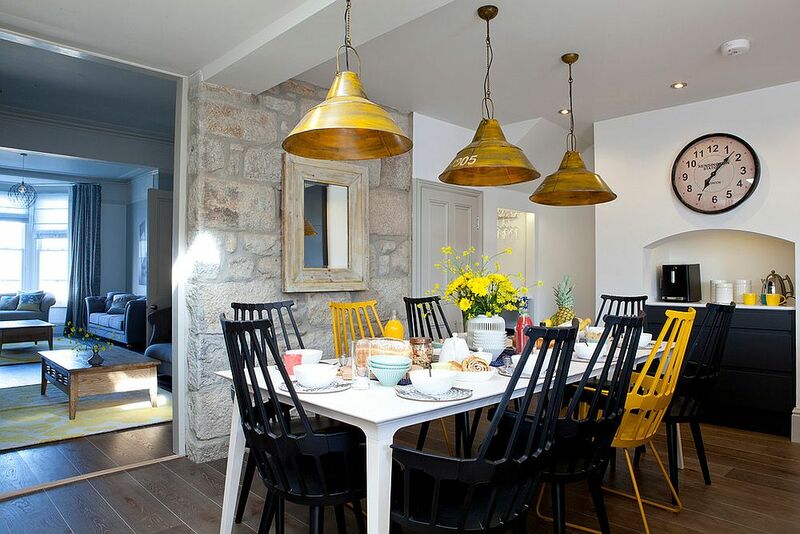 The stone wall adds coziness to minimal and modern dining rooms where artificiality and curated finishes hold sway, and this clever infusion of a more ‘organic surface’ completely alters the look of the room, even while leaving its modern vibe untouched. 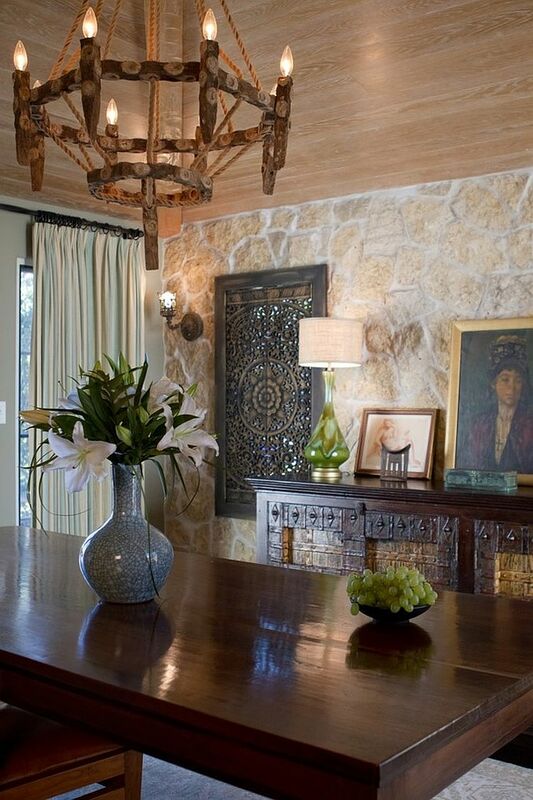 Lighting, décor and accessories can accentuate this fusion by bringing another style like Spanish Colonial or farmhouse into a predominantly modern space. 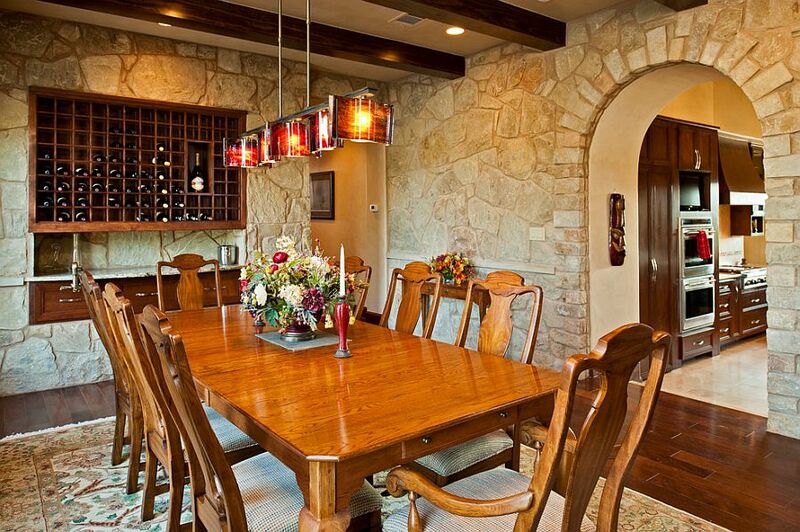 Lighting can make or break the look of an accent stone wall in the dining room, and it often plays the biggest role in defining the specific style of the room. 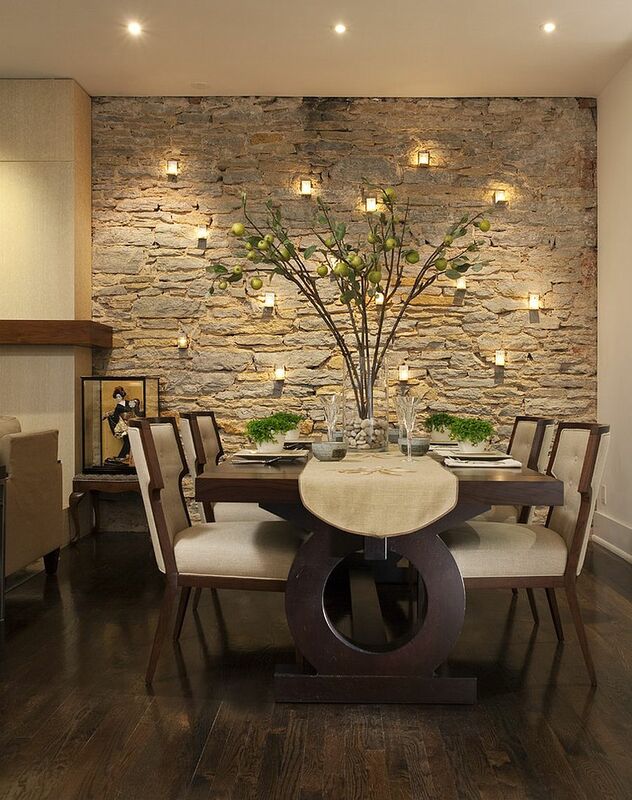 Sconce and candle lights that sit in small alcoves carved into the stone wall shape a dramatic and dreamy backdrop that turns a mundane dining room into a stunning masterpiece. 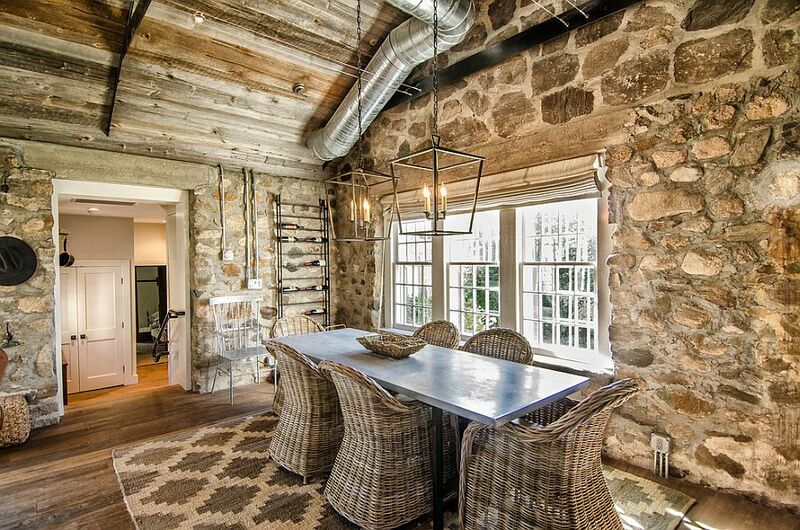 Those looking for more modern alternatives can turn to strip LED lights, and a skylight above the stone wall gets the job done during the daytime. 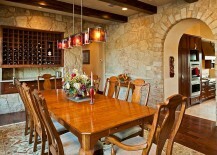 Add some lovely pendants or a dazzling chandelier above the dining table to complete that perfect dining room! 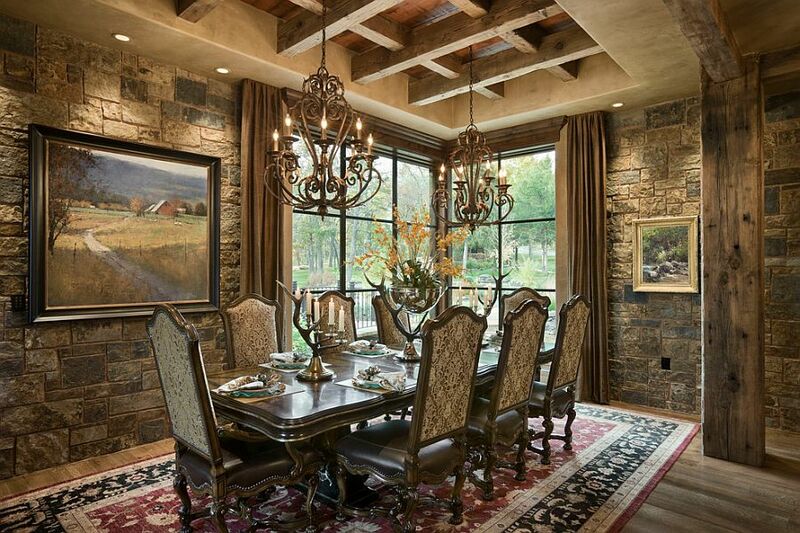 Stacked stone, stone veneer or even a natural stone wall in the modern dining room is a great choice, but why not try out a more exotic theme or enchanting style that benefits from the presence of the stone wall? 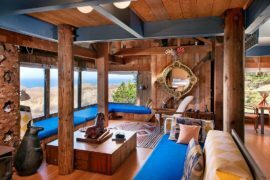 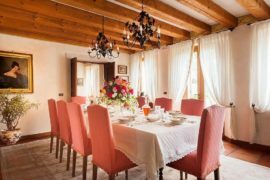 As you might have already observed, every one of the 15 dining rooms featured today has a slightly different style ranging from minimal and industrial to Mediterranean, farmhouse, cottage and mid-century. 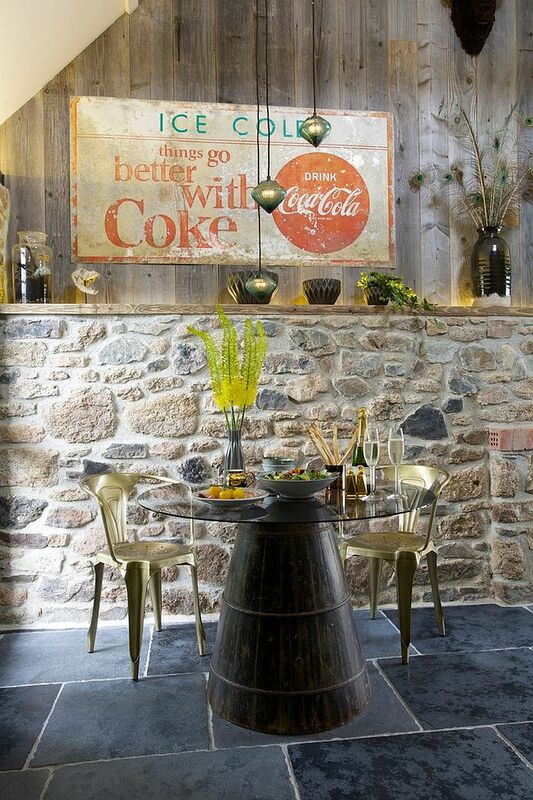 This shows that working with a stone wall in the dining room actually liberates you from mundane monotony and is anything but a hindrance! 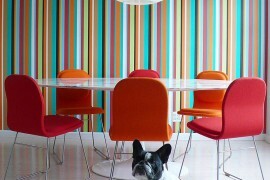 Use this to your advantage and switch easily between styles with changing trends.